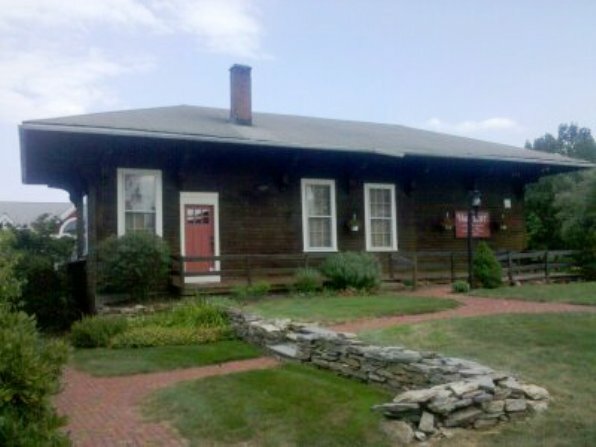 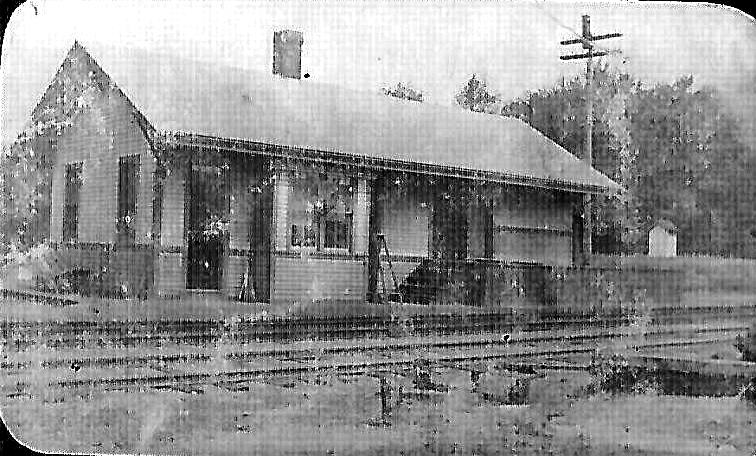 This stop in the town of Ledyard was established in 1843, three years after the N&W opened with Norwich its southern terminus. 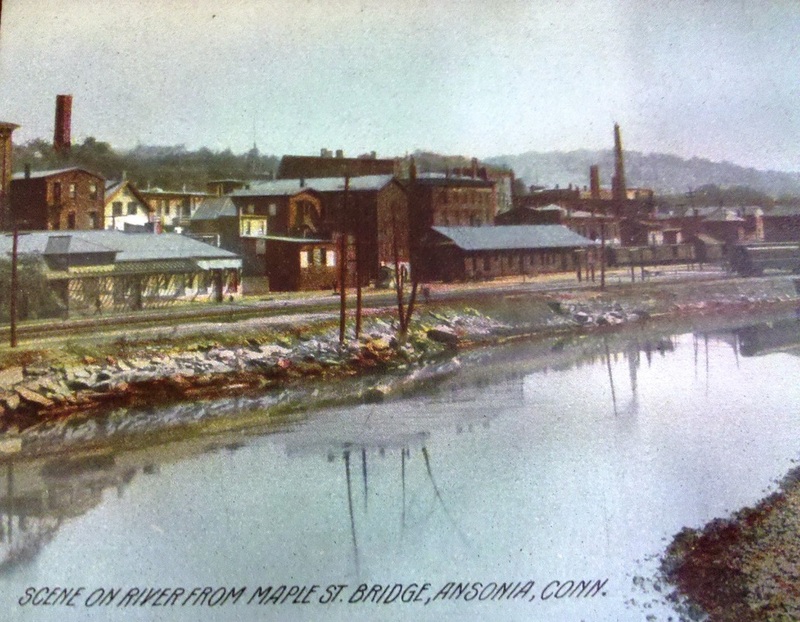 The new, warmer water steamboat dock here was less prone to freezing in the winter than the NORWICH2 facility. 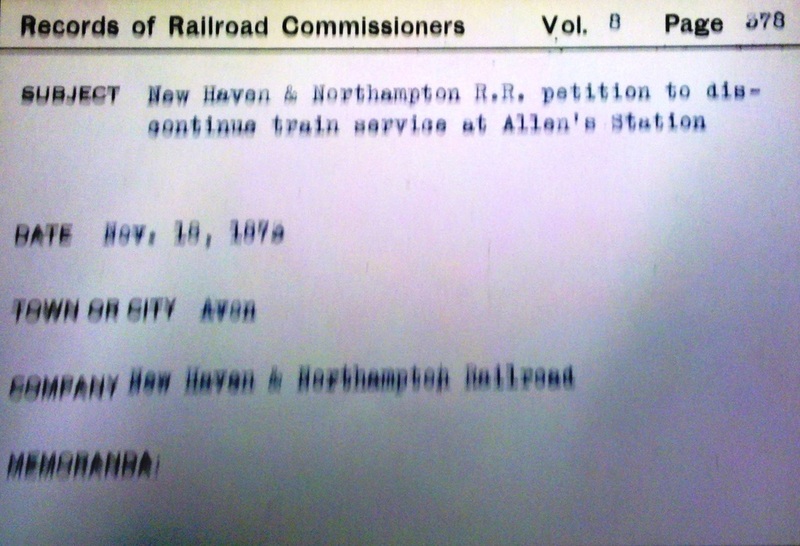 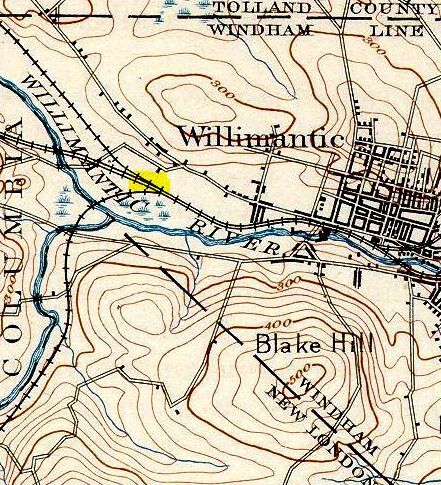 It is a virtual certainty that a station or stations stood here in the fifty or so years before the successor in our next entry was built, but we have no photo yet. 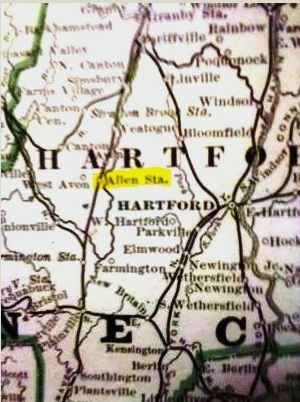 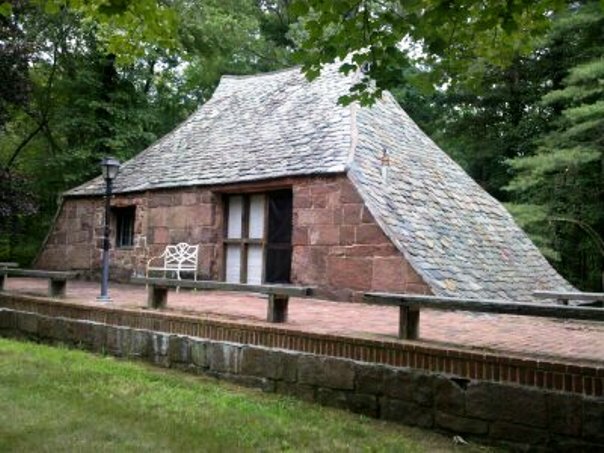 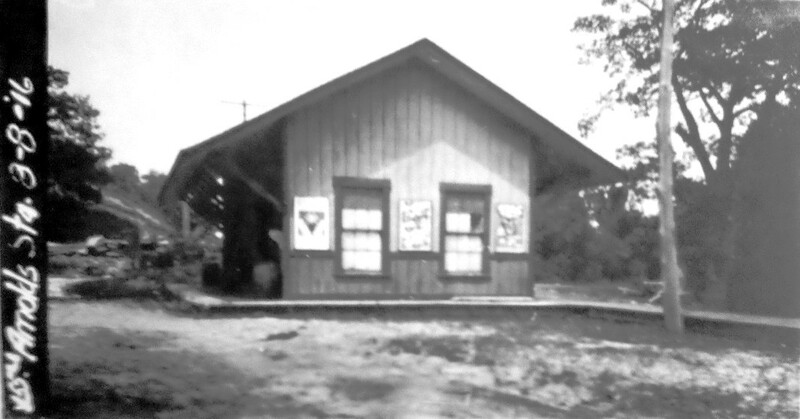 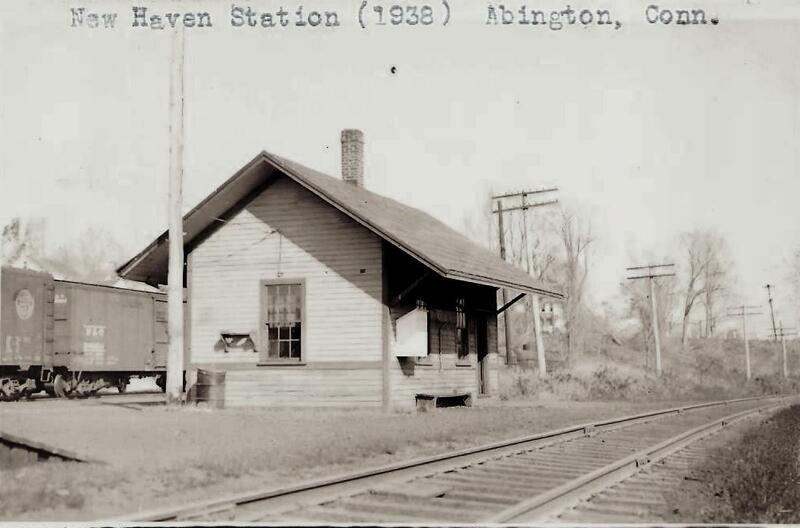 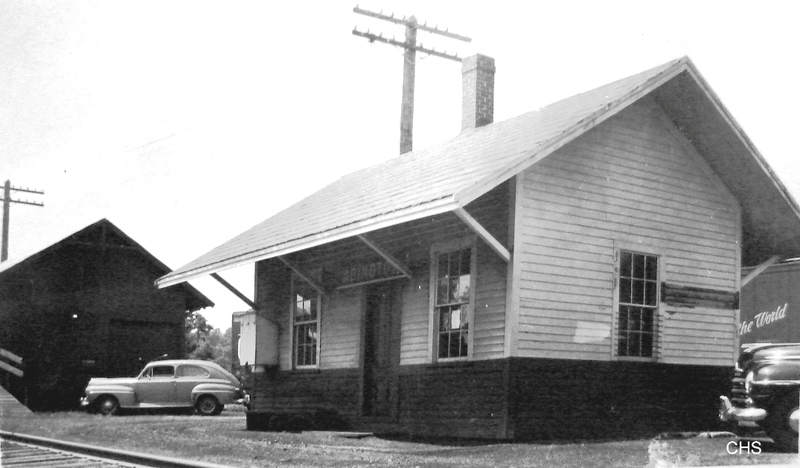 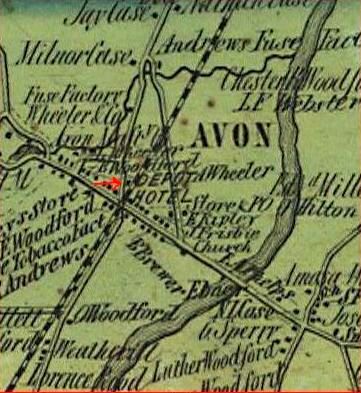 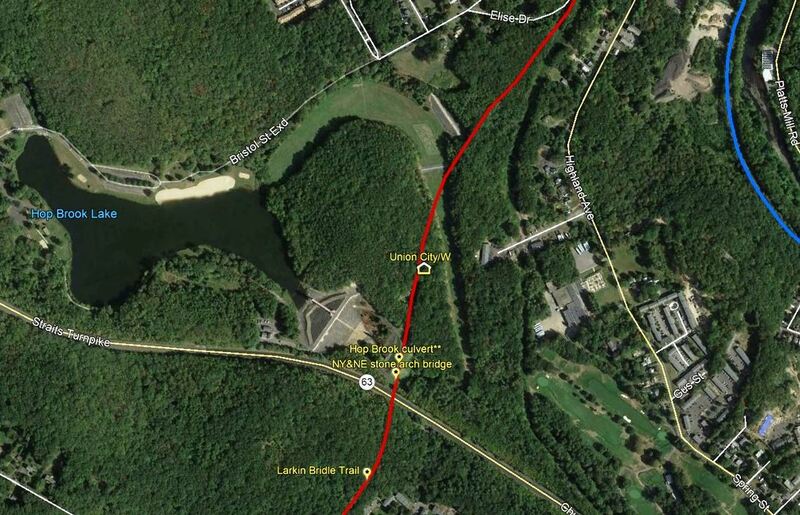 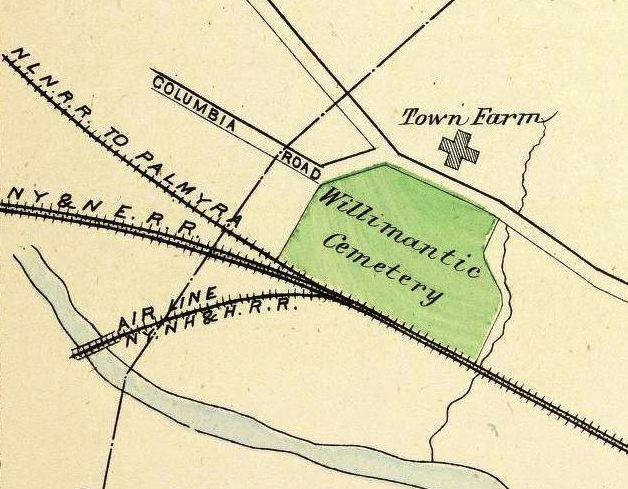 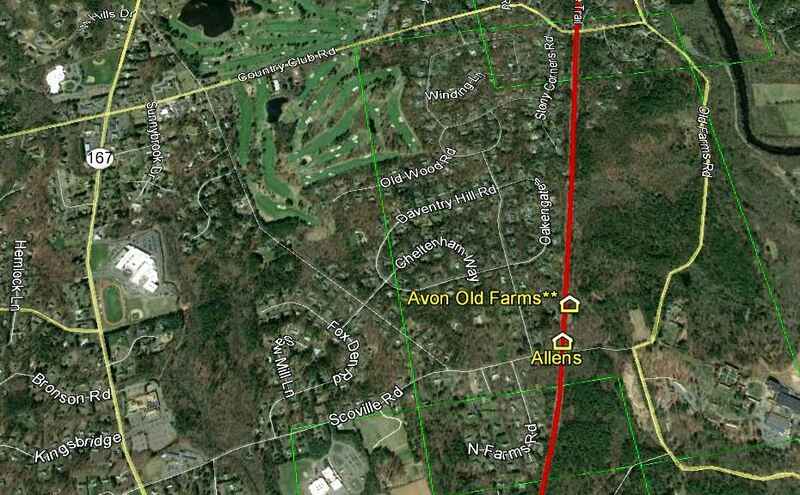 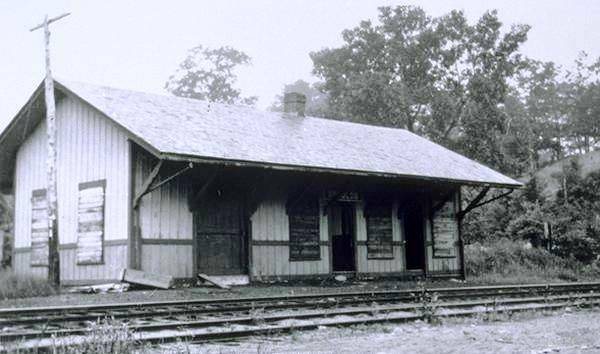 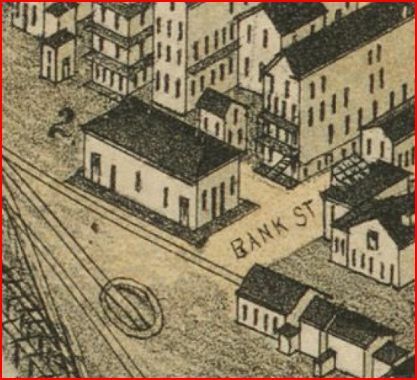 This was an original HP&F stop in 1849 and the location is shown on the 1857TC map. 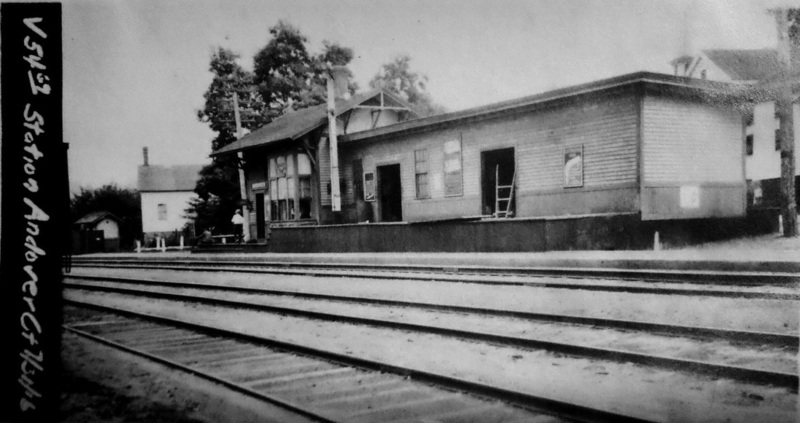 We have no photos of the first station. 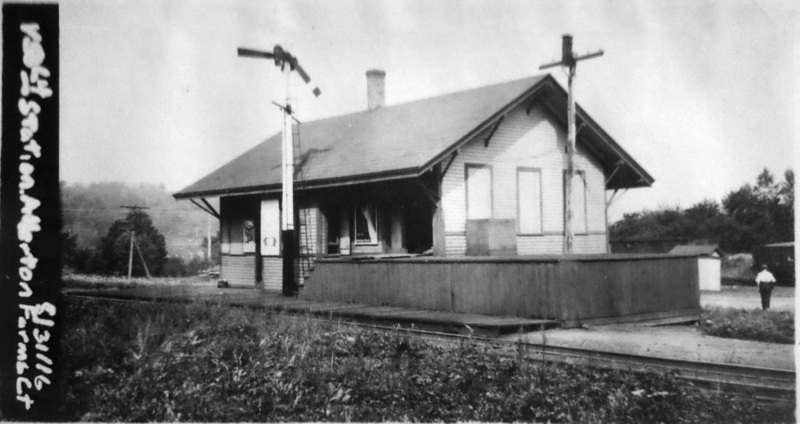 This station structure was built to replace its predecessor. 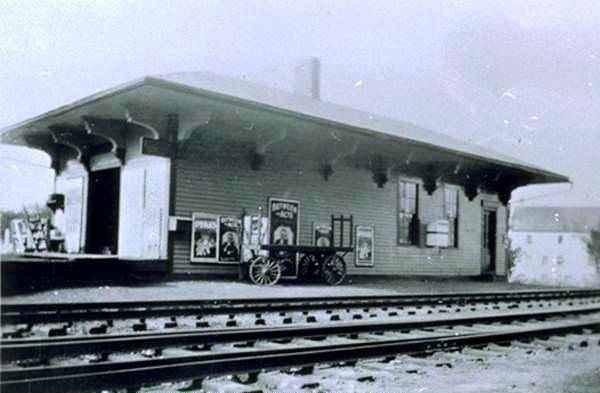 The first station here was built in 1849 by the NRR. 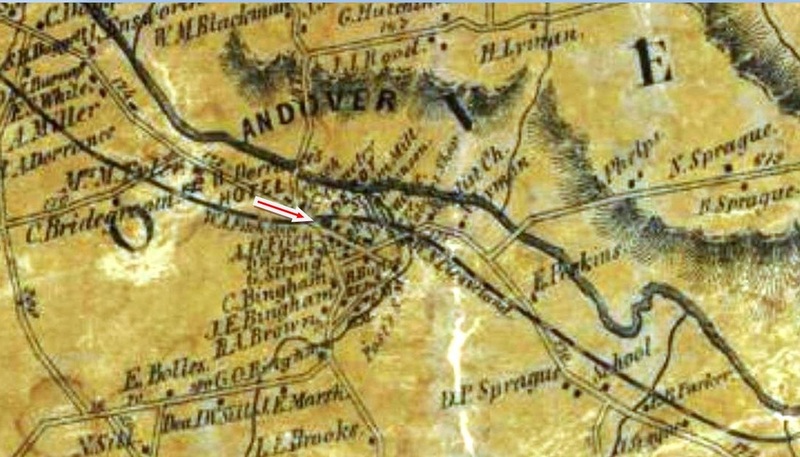 The image is found on the 1875 Bailey bird's-eye map at right. 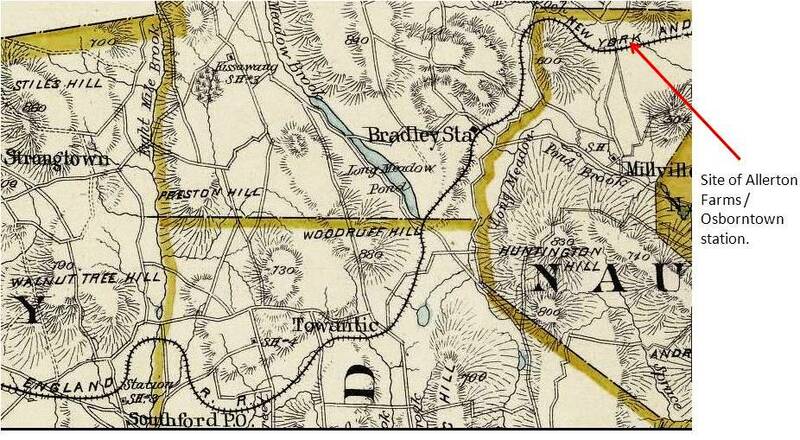 The rare, ca. 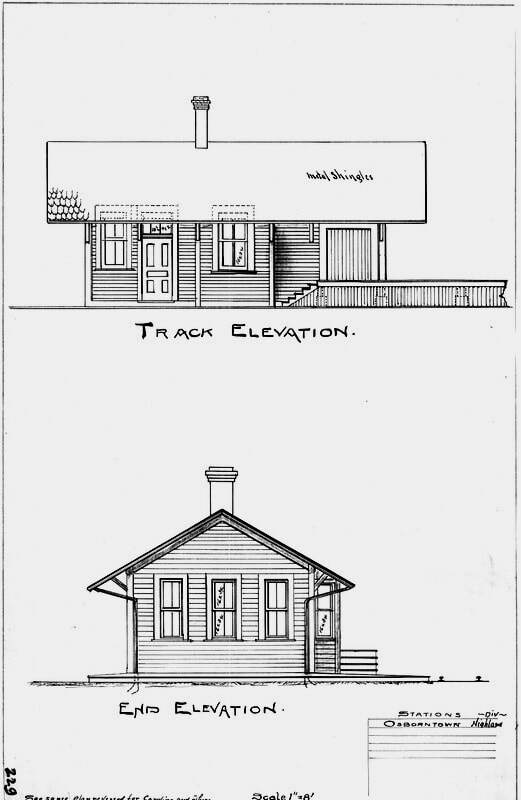 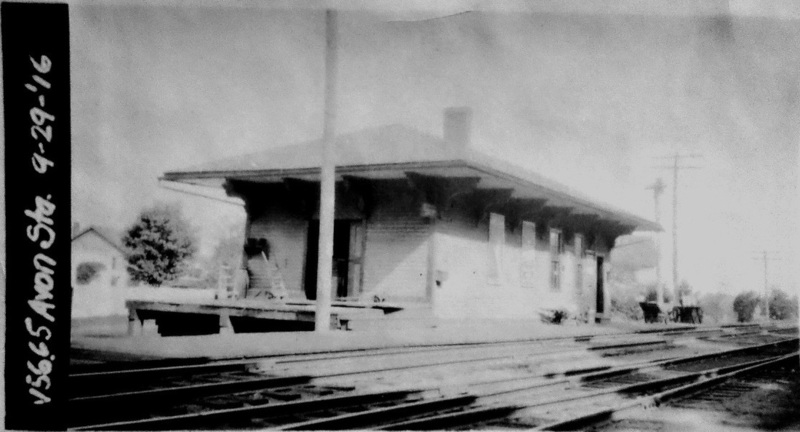 1870, photograph on the left shows the station complete with its sizable passenger shed. 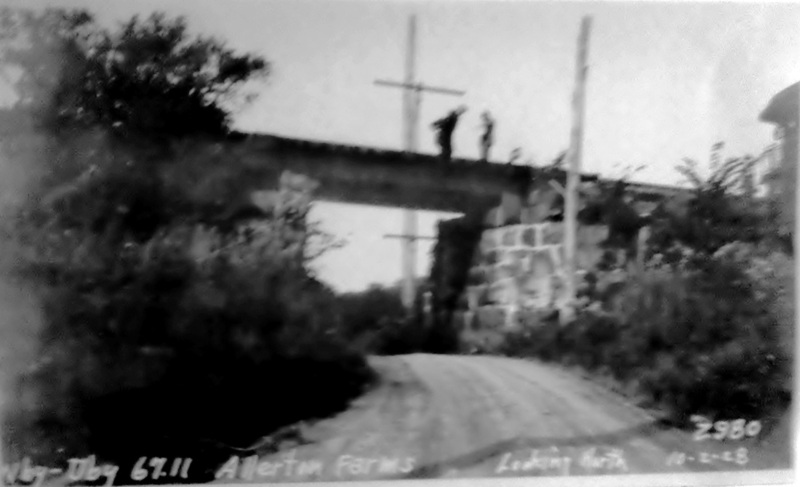 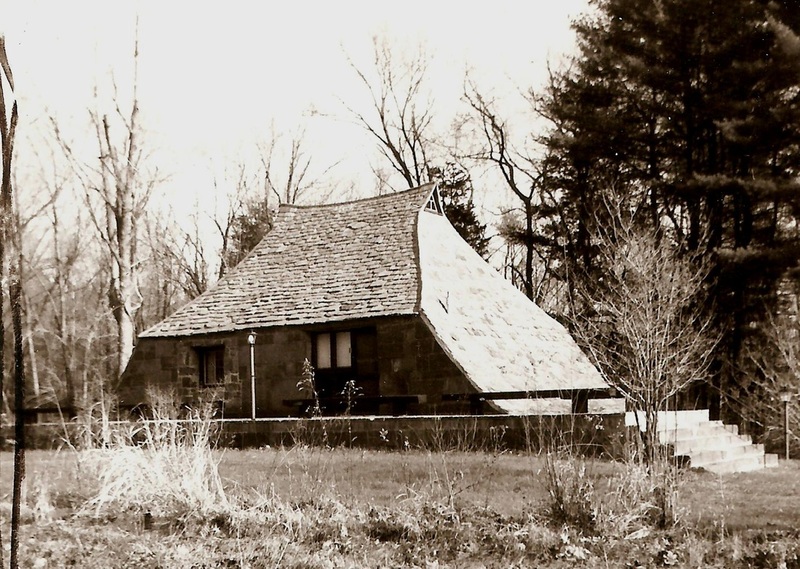 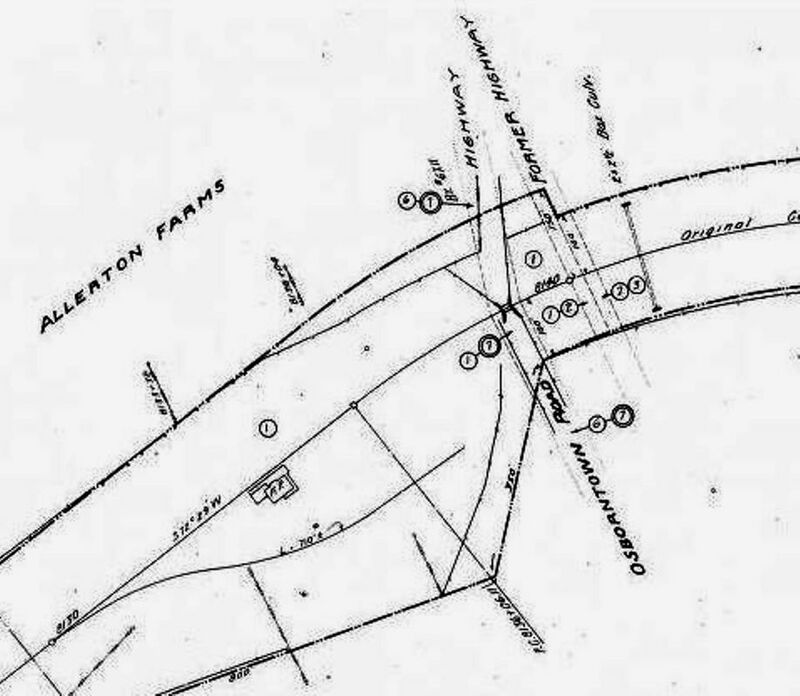 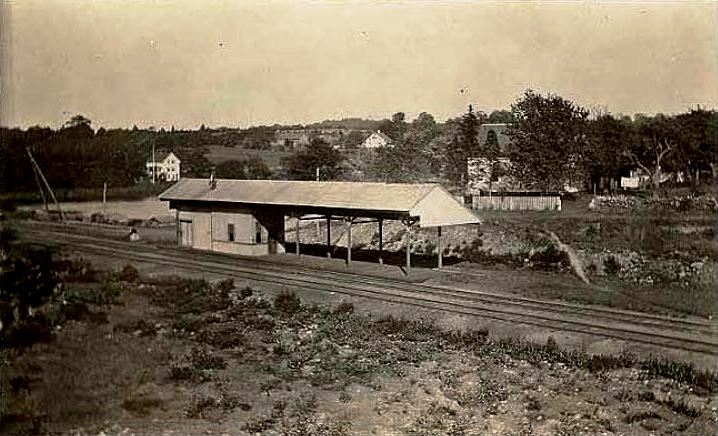 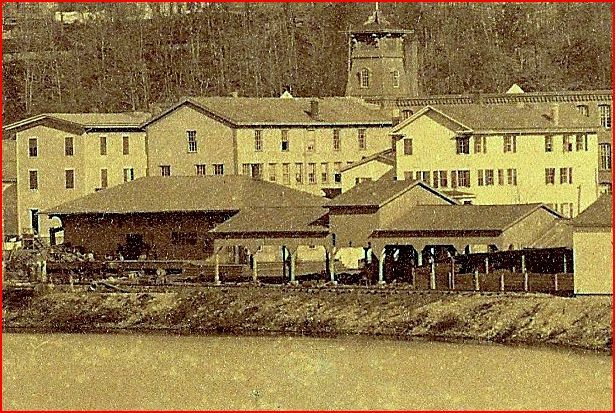 The shed may have come down in 1871 to make room for the NH&D, whose track is seen in the Bailey image in the foreground on filled land and trestle work along the bank of the Naugatuck River. 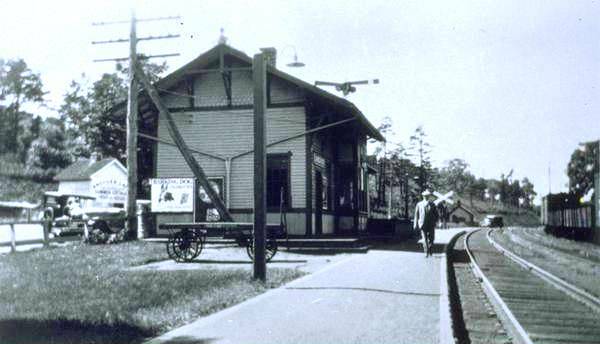 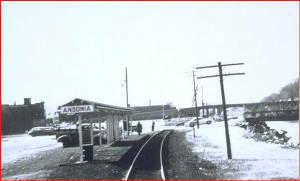 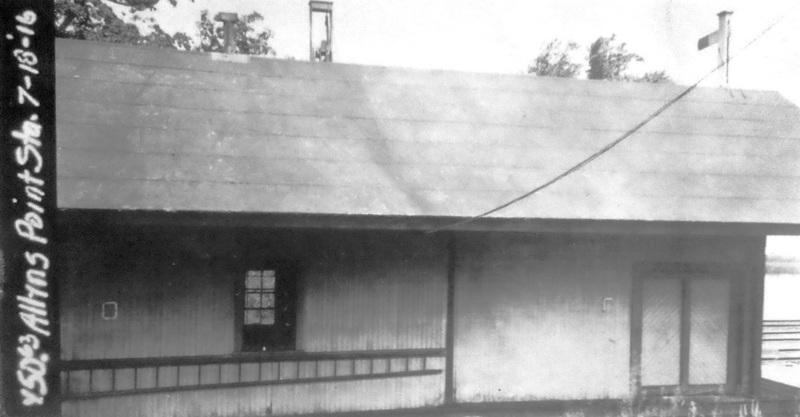 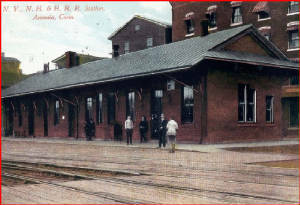 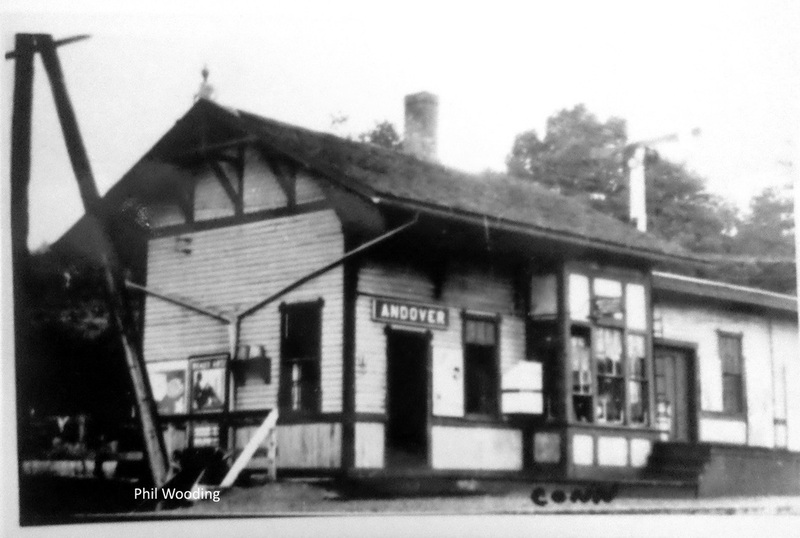 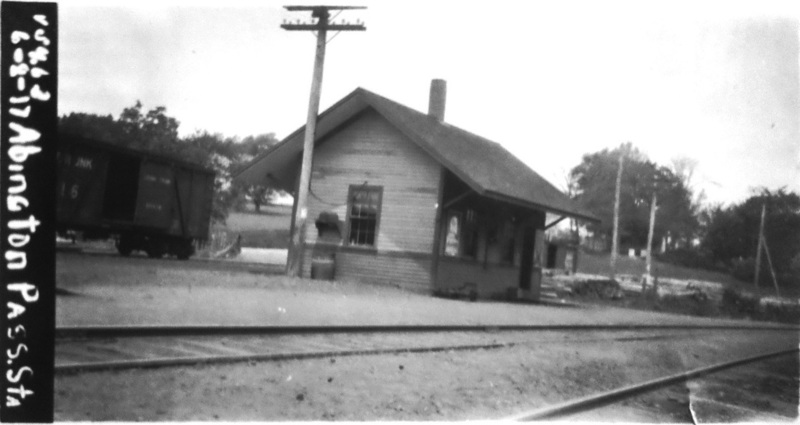 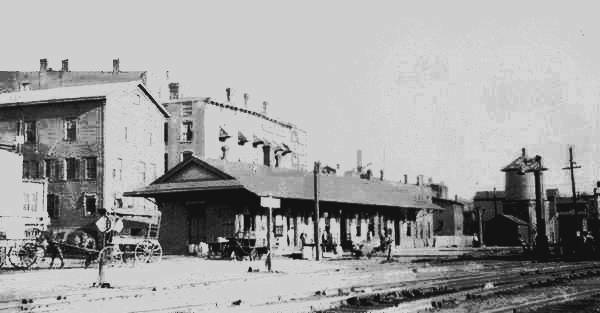 This station was actually in the town of Derby until 1889 when Ansonia evolved from a borough into independent town.